It’s not just a Song! The Wichita Chorus recently had a coaching session with Region 25 Education Faculty member, Donna Smith. 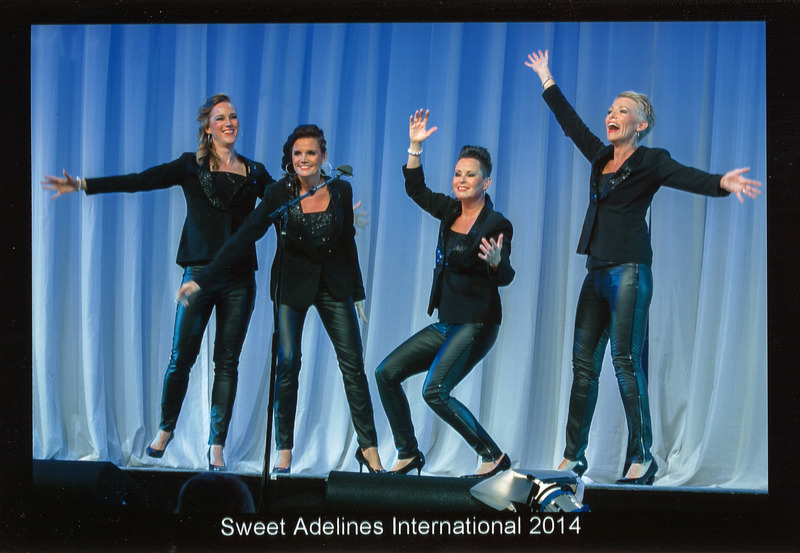 Donna reminded us of one of the things that makes Sweet Adelines unique–it’s not just the song, but also being able to express ourselves through choreography! 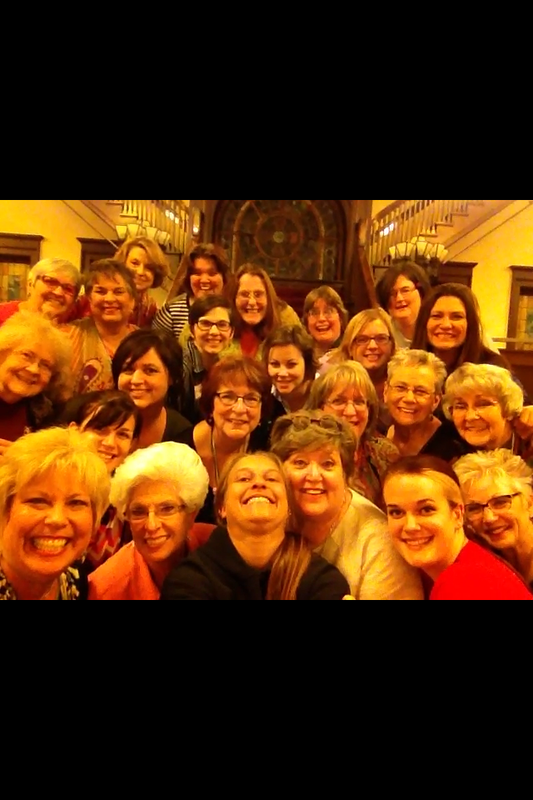 Not to mention the lasting friendships that being a member of Sweet Adelines creates! Have you had a chance to purchase your Red Wheel products from a Wichita Chorus member? Don’t delay! Orders must be placed and paid for by November 9. To place an order, please contact a Sweet Adeline or call the chorus hotline at (316) 943-3900. Please remember, all orders must be placed and paid for by November 9. Need delicious meals for the holidays without all the hassle? The Wichita Chorus is actively involved in selling Red Wheel products, which include pies, cookie dough, pizzas, egg rolls and so much more! To place an order, please contact a Sweet Adeline, contact the Wichita Chorus, or call the Chorus hotline at (316) 943-3900. All orders must be placed and paid for by November 9, and will be delivered after November 21. The Wichita Chorus is pleased to announce that Director Melynnie Williams will proudly represent the Wichita Chorus at the upcoming Sweet Adelines International convention in Las Vegas. Melynnie is a member of the quartet Rio!, which is currently ranked 12th internationally, and will be competing in the quartet semi-finals on October 7. Best of luck Melynnie and know we’re cheering you on from Wichita! 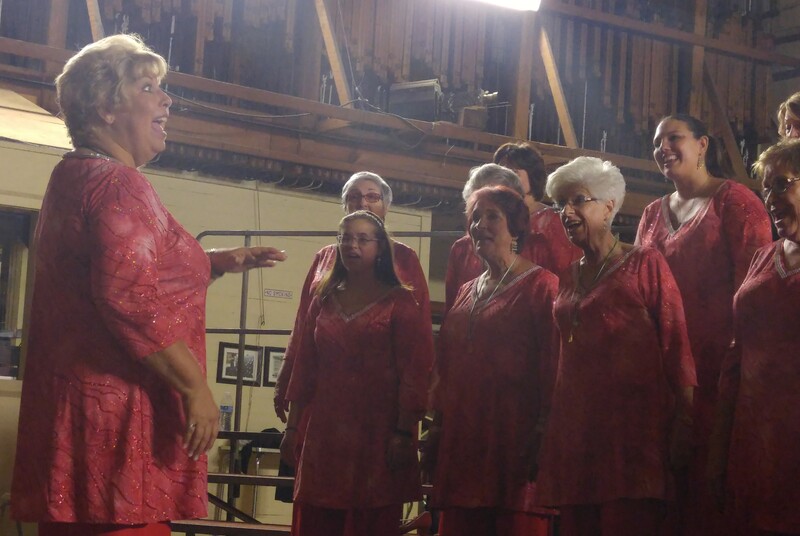 WCSA News: OH WHAT A SHOW! If you enjoyed the show, please take time to thank the sponsors. Also, we’d like to thank Sierra Scott, Joe Stumpe, Lisa Johnston, Randy Madden, Mike Williamson, John Stangle, Mike Cline, Cameron Haig, Josiah Gregory, Michael Costello, Robert Haig, Michelle Ducey, Linda Schrader, Sherri, Ludlow, Greg Warner, Tom Gardner, and Vicki Ellis for their contributions to our show. Please visit our website to see pictures from the show and stay tuned for the details on our 2016 show! 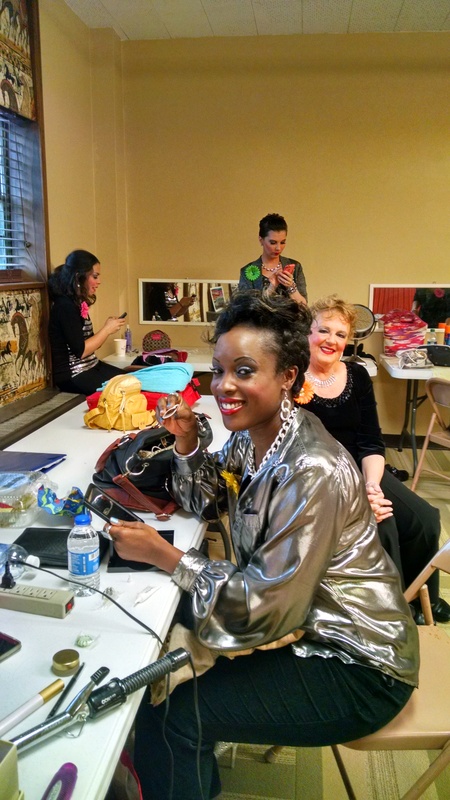 WCSA Show Sneak Peek: Behind the Curtain! Only an hour left until the Wichita Chorus’ annual show! We’re getting ready, are you? Tickets are still available! Come join in on the fun! 7:30 p.m. at the Scottish Rite Center. WCSA News: Now that’s News! Have you seen the awesome article written about the Wichita Chorus’ annual show? You should check it out at: http://www.kansas.com/entertainment/music-news-reviews/article37120659.html. Thanks to Joe Stumpe for such a wonderful article about our show and the Chorus! Don’t want to miss out on the buzz? It’s not too late to buy your tickets to the show! WCSA Show Sneak Peek: On the Way! Have you figured out yet just how far it is from Stockholm to Wichita? Vocality is officially on their way to Wichita! 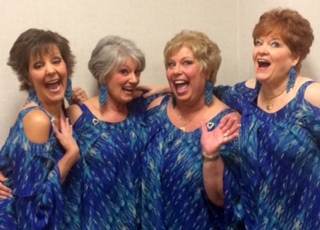 The Wichita Chorus is so excited to have the quartet joining us for our annual show, Happy Together! Come hear this fabulous quartet and wish them good luck as they leave Wichita to head to the Sweet Adelines International convention in Las Vegas, Nevada. It’s not too late to buy your tickets for the show on October 3! WCSA Show Sneak Peek: Leading us to an Exciting Show! 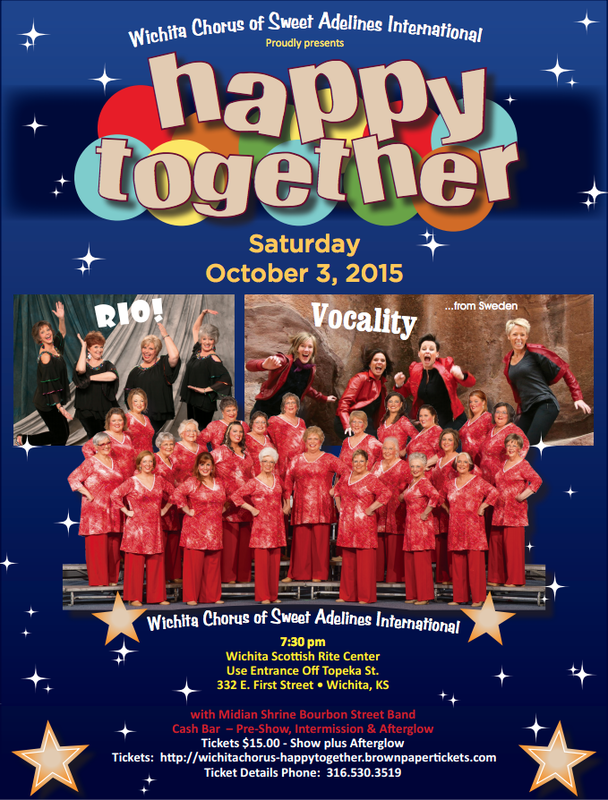 There’s less than a week remaining until the Wichita Chorus‘ annual show, Happy Together! Will it be an exciting performance? Yes! Will they be enthusiastic to sing for you? Yes! All thanks to the excitement and enthusiasm that our director, Melynnie Williams, brings to the chorus each and every week. Haven’t bought your ticket to the show? There’s still time! Visit our website to buy you ticket! Tickets will also be available at the door on the day of the show. 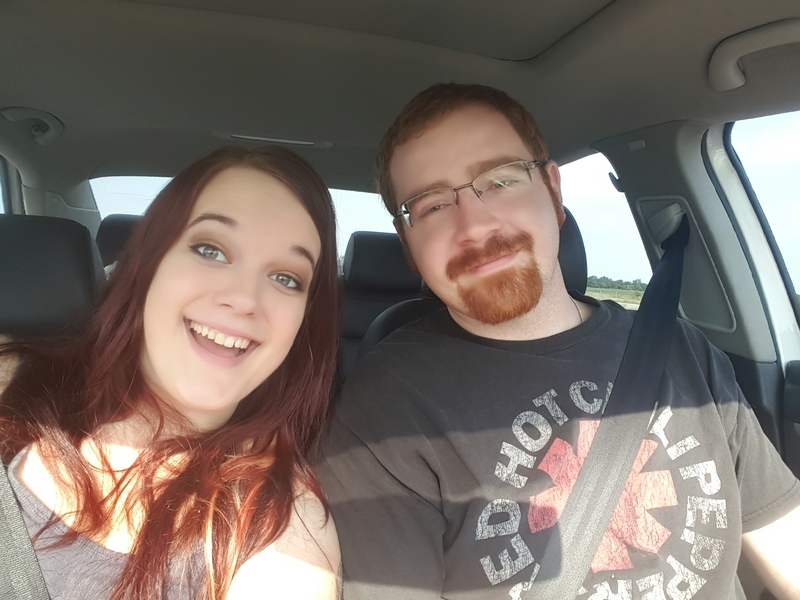 Church bells are ringing for Wichita Chorus member Rachel Shope and fiance Ian Edwards. The couple is getting married on September 26 in Wichita. Rachel is a Service Center Specialist with Credit Union of America. Her fiance is a Home Appliance Sales Associate with Best Buy. Congratulations Rachel on your on your upcoming nuptials and our best wishes for a bright future together!